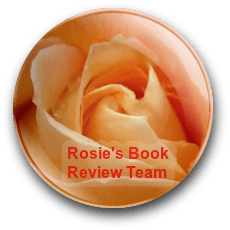 Resthaven is a YA suspense story. Kaylee is 15 and has recently moved house with her mother. With few friends she’s invited by Anna to a girls night with a few people from school, but she is reluctant to go. She meets Jamie a sharp tongued girl who enjoys making others feel uncomfortable. Jamie leaves Kaylee in the garden where she discovers Wren, a silent thoughtful girl who doesn’t waste words on trivial chatter. Anna and Sidney make up the last two girls in the party and Jamie leads them all to a closed Old Folks home for a scavenger hunt as the sun sets. Jamie enjoys trying to scare the others calling the place “The Dead Folks Home”. She is determined to bully them into staying in the creepy place. I believe this book misses its target audience which will strongly be teenage girls. The characters are all tense, hard and cold often untrustworthy which prevents the reader empathising with them. There needs to be many more in-depth and emotional parts which reflect true female thoughts and feelings. The action scenes in the home all follow a gaming style of adventure and perhaps show the author’s love of gaming, but which may not appeal so strongly with the target audience. This book introduces you to a variety of complex characters: some rather harmless, some greedy and dangerous and some downright evil. 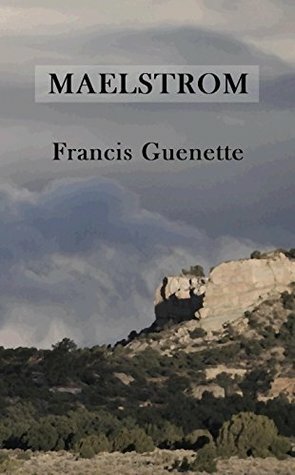 With Maelstrom, Francis Guenette has created a thrilling suspense story with local flair. The story comprises a broad variety of believable and pretty complex characters, isolated locations, masterly woven situations and interesting interactions. I had a thrilling time reading Maelstrom – it is a very intriguing read. I was drawn into the story right away, thankfully invisible! It is up to the reader who to trust and who to fear; don’t be afraid of changing your take on things along the way! This is for you if you like thrilling suspense with twists and local flair and situations seemingly to real for comfort. 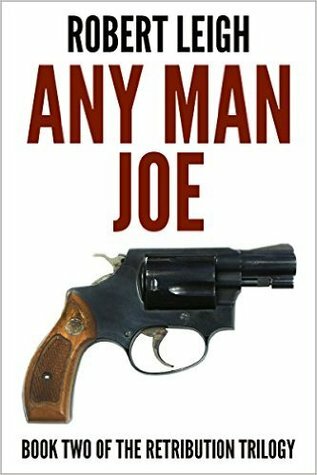 A suspenseful book to read again – by a writer with a unique writing style. This book does not take Diana and her husband Steve away from their home in Agios Mamas, Cyprus. Instead, her friend Clare and former lover Adam come to Cyprus as promised when the last met in Cheltenham. Two small children vanish from the neighbourhood, triggering Diana’s inner sleuth. As a reader, I automatically tried to solve this strange case and enjoyed it – despite the shocking topic! With Childhunt, Faith Mortimer has once again created a thrilling suspense story with local flair. The story comprises a broad variety of believable characters with sufficient depth, nicely woven situations and interesting interactions to solve the vanishing of two children and a previous hideous crime. 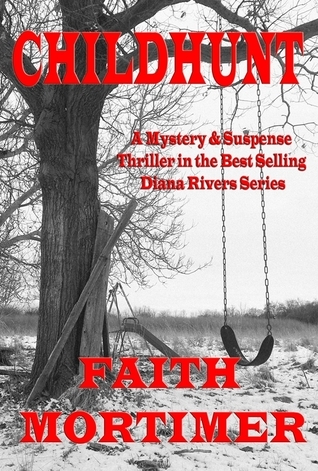 I had a great time reading Childhunt – it is a very intriguing read with a story you don’t easily forget. I was drawn into the story right away, thrilled to solve the mystery alongside Diana. This is for you if you like female sleuths, crime writers, suspense with twists and local flair. A suspenseful book and/or series to read again. I’m eagerly waiting for the opportunity to read the instalments I haven’t read, yet. This book is written from three points of view: Eilida, Sunshine and occasionally the narrator. As a reader, I automatically tried to solve this strange case. 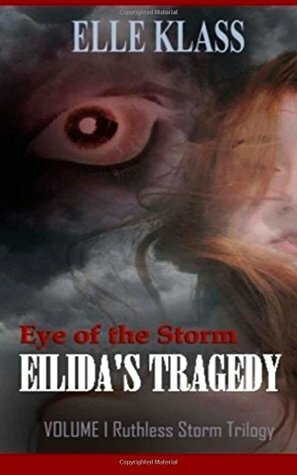 With Eye of the Storm: Eilida’s Tragedy, Elle Klass has created a thrilling paranormal suspense story with a touch of horror. With Eilida and Sunshine, Eye of the Storm: Eilida’s Tragedy comprises believable characters, having to deal with partially unsettling situations and interesting interactions to solve a set of crimes. It took me a while to buy into the story, then I had a great time reading – this is a very intriguing read. I was really drawn into the story when reading the chapter ‘Opportunity’, thrilled to solve the mystery ‘together with Sunshine’. 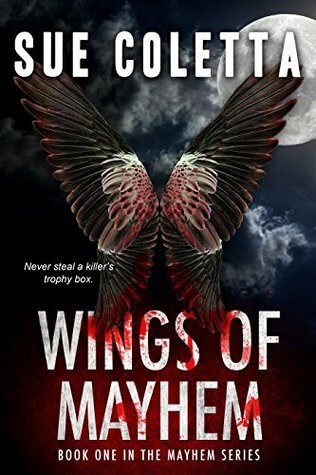 This is for you if you like a thrilling paranormal suspense with a slight horror streak. A thrilling book and/or series to read again. I’m eagerly waiting to read the other volumes of the trilogy. Welcome to the very last day of our Mystery Book Tour. 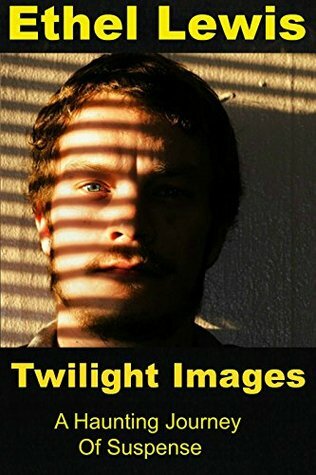 Today’s guest is Ethel Lewis and her book Twilight Images. After retiring I moved to Galveston, Texas. My home town. But originally, I guess you would call my hometown Genoa, Texas, a small suburb located about 30 miles southeast of Houston. Although I was born in Dallas, my parents and I moved to Genoa when I was in kindergarten. I grew up here and returned to the Dallas area when I was in my mid-twenties, up until I retired.. I began writing in the early 1980’s, although I kept it pretty much under wraps. I tried to find the ‘elusive’ agent and/or publisher – and failed. As anyone might easily guess – I became discouraged and tucked my manuscripts, notebooks, and other writing related things into an old trunk and hid them away. Wish I hadn’t done that! 3) What is your favourite sub-genre of mystery? I love all things mystery. Cosy mystery, suspense mystery and at times even the horror genre of King and Koontz and J.A. Konrath. 4) Where is Twilight Images set? Twilight Images is set in the Denver, Pueblo, Colorado area. The small town of “Shady Oaks Village” is a fictional town I created where Thad and his family enjoyed spending their summer vacations. Thad Connors is a loving husband, married to his college sweetheart, Dorothy, for nearly six years. He is a hardworking young man, the proud owner of his own small landscaping company. And yet he is plagued with horrendous nightmares, nightmares that are taking a toll on his happy life. 6) Why is he suspicious about the conclusions to his parent’s deaths? Since the death of his parents, ten years ago, Thad has been plagued with recurring nightmares. He has been the route of endless therapy sessions, which at first seemed to help, but now, they are returning. And not only are the nightmares returning, they are becoming even more frightful. 7) Does he work alone on his search for answers? I would have to say, basically, yes. He is encouraged by his wife, Dorothy, to go back to the cabin where the death of his parents occurred. She hopes he might find the answers there. But once he is there, Thad sets out on his own, trying to uncover anything, any clue which might point him in the right direction. 8) Tell us some of the stones he must upturn to solve the mystery. First off, Thad returns to the local police, researching their evidence files – had anything been overlooked? Next, he turns to realtor offices, to see if he can locate any residents who might have lived nearby at the time of the deaths – had anyone seen something and maybe forgotten to report it? He also turns to the news reporter who reported the incident in the local papers. Were there any clues here? He finds clues, although some are more subtle than others, at all these places. So he keeps digging. 9) Tell us what you are working on at the moment. At the moment I’m working on a novel in a totally different genre. As I mentioned earlier, I started writing in the early ‘80’s. At the time I was into romance novels – Danielle Steele, etc. I dug into my treasure trunk and pulled out my first novel, which I am currently re-working and re-editing. It is called “Leave Yesterday Behind”. The story of two young women, Becky Carson and her college roommate, Mandy Powers, who journey life’s highway together. They form a loving bond in college which carries them through the many upheavals and highlights of life from the early 1970’s in Berkeley, California, to their busy and tumultuous lives in New York City. 10) Where can readers find out more about you? Like most of us in this day and age, you can usually find me somewhere on the web. Let’s find out more about Rishika and her writing. My home town is Pune, in India. I have travelled to Europe and Africa, and have even lived there for some years, but Pune has been my home for most of my years – and will probably continue to be so. I’ve been writing for about eleven years. The first thing I ever wrote was a story that had popped into my head. I would write every night for half an hour – it felt like a creative release. It was just something I would do to give myself satisfaction. I took up writing full time only two and a half years ago. I wrote content and even short stories for others. But towards the end of last year, I decided that I wanted to get into writing full time for myself. That’s how I made the final transition from writer to author. What is your favourite genre of writing and why? To be honest – I like writing in multiple genres. 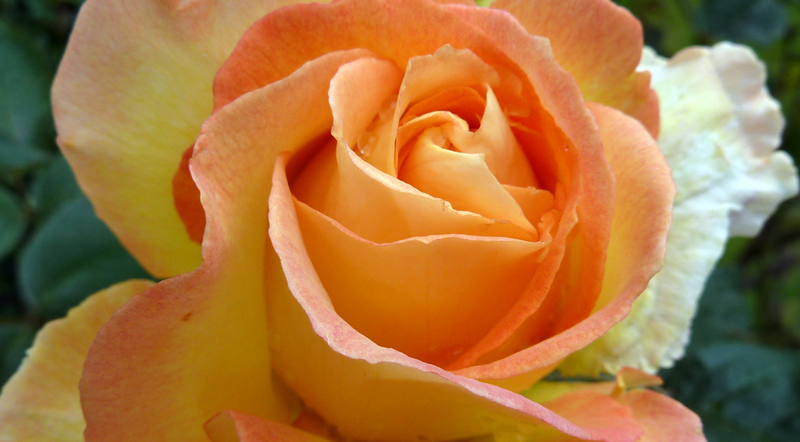 When I started writing, I loved writing mystery, thrillers, and romantic suspense. Along the way, I developed an interest in writing contemporary romance too. I’ve also worked on historical fiction and have loved it! For me, the story matters, not the genre. If an idea comes to me in which I believe wholeheartedly, I will write the story. My style may vary slightly to allow for the change in the genre, but I write what feels right and I will still enjoy writing every word. What was the idea which began your story of “One Chance”? Without giving away too much, I’d have to say that it was the way the story ends. An image of the end hit me one day and the rest of the story just built itself around that vision. Can you tell the readers a little about Ava and Ethan Russell and their backgrounds? Ava and Ethan are bound together through a past that Ava assumes to have left behind. She married Ethan within months of meeting him and they are very much in love. But when she learns the truth about who her husband really is, her trust is completely shattered. She’s left trying to make sense of the lie that had once been everything in which she’d believed. Ethan too wants to let go of his past, even though he is the reason it comes to haunt them. The only problem is that their past won’t leave them; which leaves Ethan struggling to build a future from the ashes of a past that have burned them both. One Chance looks at Ava’s ability to forgive and Ethan’s ability to love, while the past that connects their families continues to test their abilities. What is this past that their two families have faced? As was common in many regions at the time, the families were pitted against each other for land that they refused to share. The greed for the land led to a gruesome and tragic past, one that is tainted with anger, greed, and ego; and one that destroys both families completely through death, hatred, and darkness. What do you think are Ava and Ethan’s strengths? Ava’s strength lies in her ability to pick herself up. From the difficult decisions she made as a teenager, to the point when she has to face Ethan’s betrayal, she never shies away from what is required of her. She hurts, yes, but she pushes forward to see the real picture, however painful that might be. She makes an attempt to understand everything in its entirety and that makes her the well-rounded, strong woman that she is. Ethan’s strength lies in his ability to look beyond himself and be loyal to that in which he believes. That is what gives him his integrity. It isn’t just about his personal gain or loss – he’ll stick by you even if it’s not in his best interest, as long as having him by your side is in your best interest. Do you think there needs to be more forgiveness in the world today? In the end, we’re all human beings. People will make mistakes and they will hurt. And as long as this happens, there will be a need for forgiveness; because it is only through forgiveness that we can move forward with our own lives. 9. Are you working on another book? I recently completed and published my second short story in the Kindle store – A Bond Unbroken. After that, I began work on a much larger project – a historical fiction novel. This historical fiction is based in ancient India and follows a fictional story line woven into real events. It talks about political conspiracies, it depicts love and faith, and it shows the best and worst of human desire and belief. While I can’t say when this will be completed, I am looking to publish it by the end of this year or the beginning of the next, at the very latest. 10. Where can readers find out more about you? Thank you Rishika and Good Luck with your writing. We’re both from Portsmouth, which is a Naval city on the south coast of England. Sean’s been a Londoner on and off for all of his adult life, but Dan’s still in Portsmouth and is currently at the city’s Highbury Catering College (which includes culinary luminary Claire Smyth among it’s alumnus). 2) How long have you been writing as a duo? We’ve been writing together since 2012, when we made a St Patrick’s Day bet that we could write a novel in 90 days or less. Dead on Demand, our first book, was the result. 3) Where did the title of the book “Cleaver Square” come from? It’s a real place – with one of London’s finest pubs in it. There is no 36B, but we’ve otherwise been pretty faithful to reality. The square is a unique slice of London that is almost surreally quiet, with gorgeous townhouses and a huge green that is used for street parties and boules in the summer. 4) If this your first murder mystery? We had several murders in Dead on Demand, but that was told from the point of view of the antagonist, who tries to plot the perfect murder (and comes pretty close to succeeding!). Cleaver Square is our first book that’s firmly in the ‘mystery’ bracket, but it also crosses into the suspense genre too. 5) What writing roles did you both take on? Dan does some of the big picture stuff, but I get the research elements (so if you find an error in forensics or police procedure, that’s probably my fault). 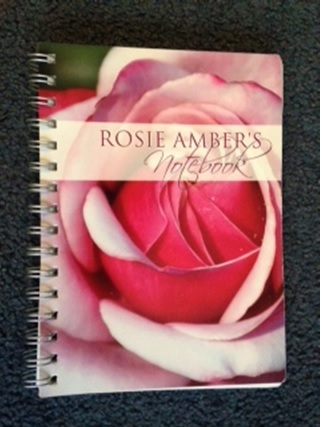 6) How long did it take to research the material for the book? It took a little while – we took nearly eighteen months over this on and off. I trained as a barrister so the legal side is dead easy, and I have a number of friends in the forces as well as some handy contacts in the world of forensics to annoy in the hopes of getting things right. 7) You’ve got some great characters in the book, mine were the Lovejoys purely because their name conjured up memories of a favourite TV series of mine. Which character was your favourite? Probably Tina – she’s a bit of a tart, but she’s loveable with it. And who doesn’t like drinking/ board game mash-ups? 8) Which were the hardest parts of the story to write and why? Charlie’s back-story – he’s had a rough time of it, and getting the timings/ age consistent with all the minor elements of the forensics, as well as making sure that little things like sunrise times stay consistent takes a lot of co-ordination. Thankfully, we had some excellent editors on board to catch our faux-pas. 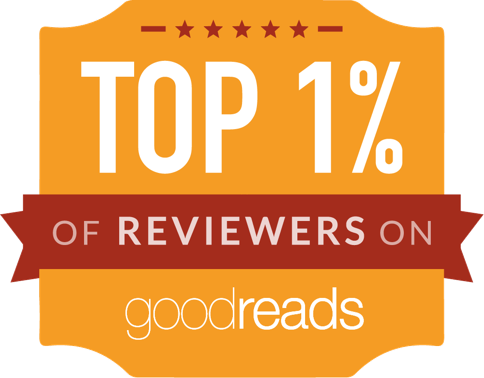 Dead on Demand is the most well-known – there are tens of thousands of copies out there in the readersphere, and we hope to reach a few more this year. We’ve also got a few non-fiction titles out, including one on the British Peerage system. I don’t know if you’ve ever seen the ‘Become a Lord or Lady’ Christmas gifts, where you buy a square foot of land, and allegedly become a Lord, but they’re, at best, misleading. Laird is simply Scottish for ‘landowner’ rather than denoting a title. There are ways to become a Lord, but a square foot of mud probably doesn’t cut it. 10) Do you have ideas for another murder for Detective Chief Inspector Morton to investigate? Absolutely – we’ve got an idea that we’re outlining at the moment that combines a dash of political intrigue with what we hope our most original murder method yet. Duo? I do all the hard work. Well, we thought about Knife Octagon for a while, but that’s just too multi-sided. I never killed nobody guvnor. Honest, I didn’t. Sean did that. Or so he says. I think he just makes it up. He’s got that convincing look about him. Bertram Ayala – he’s almost as vain as I am. The middle is the worst. You’ve not got that “just started” motivation, and the end isn’t in sight yet. 9) Tell us about some of your other books. I’m doing a couple of solo projects this year – watch out for The Utopia Project, an ‘End of the world’ story that comes out in December. Yes – can’t say exactly what just yet, but if you think an ice bullet is clever, this will blow your mind. 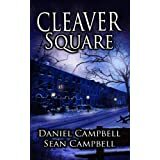 Cleaver Square is a murder mystery / thriller set in and around London. It opens with a murder scene in Hackney Marshes on a cold January morning. A body is found by Robert Lyons, a member of the North London Metal Detectors. A post mortem reveals the body is of a young teenage boy, who has been in the ground for some weeks. A key item of evidence is a valuable watch found with the victim by the metal detector. Whilst the murder investigation gets underway led by Detective Chief Inspector David Morton, the readers are introduced to Charlie Matthews a young lad who is being taken to a new foster home by his social worker. Charlie’s history is tragic, both parents died in a car crash, then a set of foster parents died in a house fire, he is being moved once again through the overloaded social care system. With a murder case going no where and Morton working long unsocial hours his home life is shattered when he and his wife are the victims of fraud and all their bank accounts and savings are emptied and their credit cards compromised. DNA testing of evidence lead the team to ask “Who is Charlie Matthews?” But they are no closer to answering the question when Detective Tina Vaughn goes missing whilst following her own line of enquires. Finally a new detective finds a new angle and a window of opportunity for the murder crime is revealed. The Police can close in on the suspects, but which Police department will get there first? This was a cleverly written book, which kept me interested the whole way through, I wanted to solve the crimes too. The book tackles some serious real life issues which are sad possibilities in todays world. Sean and Daniel are our guest authors on the blog tomorrow, so do come back and meet them.